Where experience meets passion—you can break through your boundaries. Staying active has always played a crucial role in my life. Growing up I played little league baseball, ran cross country, and played football. Once I got to high school, I was a three-sport athlete. I was a captain and defensive corner on my football team, I was the most valuable player and all-conference wrestler, and I competed in the 200m sprint, 200m relay, 800m relay, and the long jump in Track. I participated in all three sports for 4 years. Growing in skill and dedication, I wrestled at 174lbs at Elmhurst College under University of Illinois National Champion Steve Marianetti, training at high levels for years. However, this level of training often brought a different level of injury. During track I strained my right hamstring during a sprinting event, I broke my ankle during an offseason wrestling tournament, and I dislocated my shoulder and tore the labrum (cartilage). Each one of these injuries had their own rehab process, and each took its own time and toll on my body. I had always been told to train hard. Even in high school I remember doing traditional Olympic style lifts without any preparation or instruction. Everything was anaerobic and I was definitely overtraining. 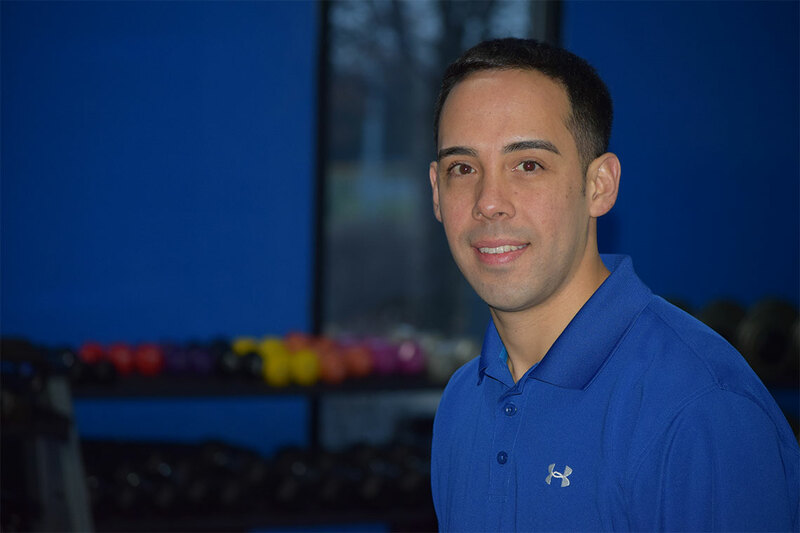 I knew something had to change in order to get better results with less impact on my body, and in this way I quickly began to form a total body routine which I would later pass on to my clients. Knowing I wanted to help others get the most from their workout, I started my training career at a commercial gym with machine equipment. I began with clients who had very little training experience, and soon realized that this environment just wasn’t enough. Researching and tirelessly experimenting with my own training techniques, I soon discovered functional training, corrective exercise, and neuromuscular integrity—which are all components of moving properly, moving often, and moving in every plane. I quickly found that adding all of these components together would lead me to create a gym where you can train with minimal risk of injury through screening, where my clients are able to accelerate their movement and break through their plateaus. And that was the birth of Human Performance. I pride myself on my ability to take the time to understand which movement dysfunction is stunting the client and restore function in order to produce more productivity in their bodies. This leads to a better workout output that is sustainable year round, allowing my members to keep the results they worked hard for. I can take my clients from a plateau to a peak instead of offering the same boring circuits with low aerobic outputs which plague large group classes and several other program structures. Human Performance provides an individual with full service when it comes to their specific fitness needs. I manage the training variables and constantly check in on the individual in order to keep them on track toward their direct goal, reevaluating each athlete every 4 weeks. The member is always working on recovery and regeneration during their workout, and all of my clients stay informed about their own bodies, how much weight is healthy to lose and why. When I started Purdue University I slowly gained the “freshmen 15” and was not knowledgeable in nutrition or fitness. A friend of mine showed me some basic cardio and how to use the cardio machines. During that time my weight would yo-yo up and down. At the time I did not know much about nutrition but learned about working out. I started to regularly workout at least 3 times per week using different cardio machines. After graduation I got a job as a manager and was on my feet all day . I continued to do cardio but also learned how to use machine weight and free weights. I still was not aware of nutrition and what foods I should eat. Through out my twenties I started gaining weight. I went to get a physical and the Doctor said I had high blood pressure in my late twenties. Seeing the doctor triggered something inside me. At that moment I decided to join a gym. I became so addicted to working out and the adrenaline rush that I was at the gym 6 days a week. After 6 months of working out I lost fifty pounds on my own. At the gym I did a variety of exercises that I figured out and learned on my own. I took group classes, used cardio machines, weighted machines and free weights. Through reading articles, magazines, blogs, tv commercials and talking to friends, I learned a small amount about nutrition. Later on in life I got a 9 to 5 desk job at a financial firm where I worked long stressful hours and sat all day. Over the course of 3 years, all the health benefits I had gained from going to the gym went down hill from that sedentary lifestyle and long seated hours at work. Once again I slowly started gaining the weight back because I put work first rather than make myself a priority. After 2 years at a seated job, I developed a bad pain in my neck and shoulders so I went to see a chiropractor . After his initial exam, he told me I had an injury from 15 years ago which caused a structural issue in my neck. The pain never really triggered until I started working at a sedentary desk job. The chiropractor advised me to not work out while we go through the treatment and recovery period. During that time I did not want to gain any more weight so I looked into what I could do outside the gym. I found Precision Nutrition and made the decision to learn about nutrition and focus on what to eat since I could not focus on training. After completing the first level of certification I approached the owner of Human Performance about incorporating nutrition into his training program. He introduced me to his clients and that is were my journey as nutrition coach began. 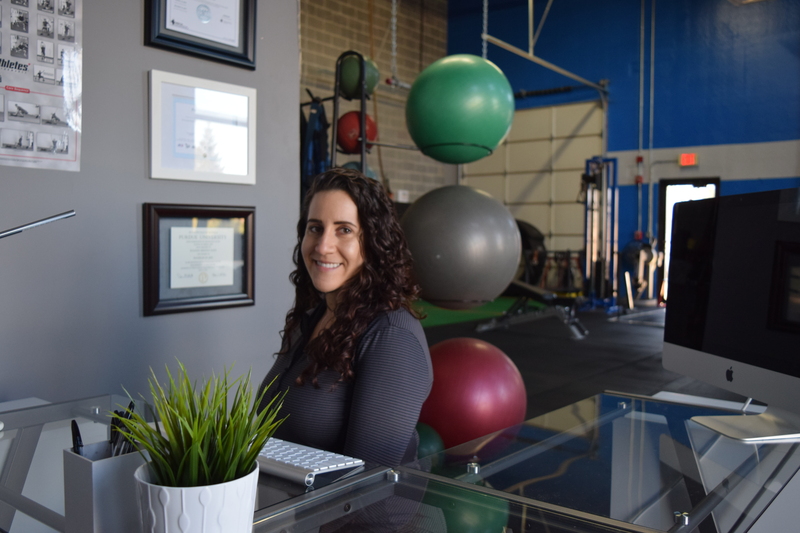 While working with clients, I was hungry for more so I pursued a year long intensive Precision Nutrition Master Level certification which I completed. I wanted to understand and dive deeper so now I am currently enrolled at Benedictine University for a Masters in Public Health. After sitting behind a desk for many years and I saw the effects that it had on me. It was not until I hit rock bottom that I needed to change myself and in turn wanted to share the experience I have gained to make others happier and stronger. Working out and focusing on what I want out of nutrition lifted my spirits up and made me a stronger person. I want to reach out to people to share that same experience and see if I can help them to de-stress their lives, achieve their goals and just be happy. I help clients reach their goals by working one-on-one with them to address their individual challenges. Changing lives, changing the way people think about nutrition and developing actionable step-by-step outcomes for clients will help them to see what they can achieve in life and who they can become. I enjoy zoning in on my client’s individual challenges and changing the way my clients think to get through those tough goals they want to complete. It gives me a sense of joy knowing that I can help my clients get through their frustrations and roadblocks. I am committed and dedicated to not just settling for the answer, but seeking to understand it. I will be their with you every step of the way and give you the support you need to get to your nutrition goals. I am not here to expose your weaknesses. I am here to unravel your true potential. Fitness and nutrition made me find my happy place and it makes me want to bring value to others.